The Illya women's hiking boots are a solid yet comfortable pair of shoes that are perfect for avid hikers. Designed with rugged grip outsole, these boots help you maintain good traction on difficult terrain and a supportive ankle cushion helps prevents injury or strain as you make your way across different types of ground. Additionally, an arch stabilising and supportive shank along with a protective and durable all-round mudguard means your feet are encased in a strong yet comfortable structure at all times. Plus, a cushioned footbed make them extra comfy along with adjustable laces. 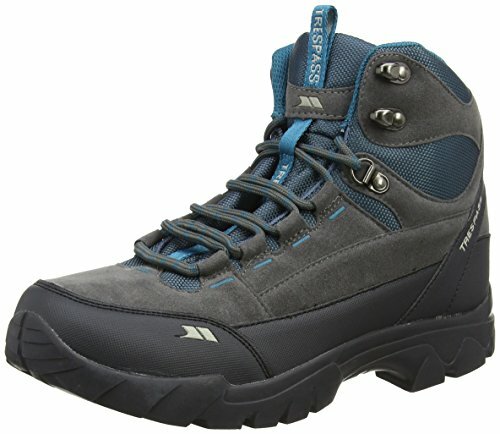 Available in grey with blue highlights, the Illya women's hiking boots are just what you need for furture hiking trips. If you have any questions about this product by Trunki, contact us by completing and submitting the form below. If you are looking for a specif part number, please include it with your message.